Last night J wanted to snuggle with me. We started out next to each other reading our respective materials. 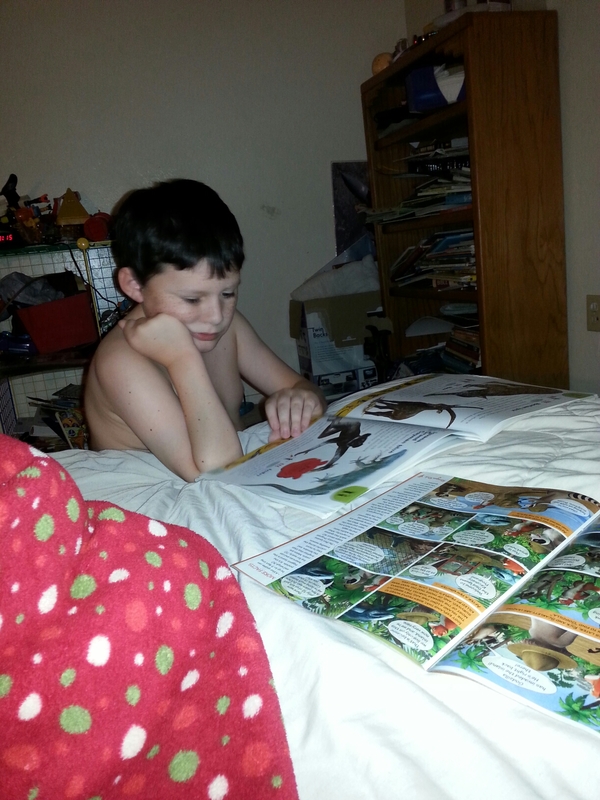 He had a new Ranger Rick magazine and I had my Kindle app. Then he got to a story about an iguana. And he had to look though his books to find the one on endangered species so that he could give me all the facts about the iguana. Then he turned the magazine page. In a matter of minutes, I got monologues from the movies/tv shows Totally Tropical Rainforest, Rio 2, and Wild Kratts to go along with the animals he encountered. Welcome to the rainforest. Mom we went into my book. No you don’t have international coverage.